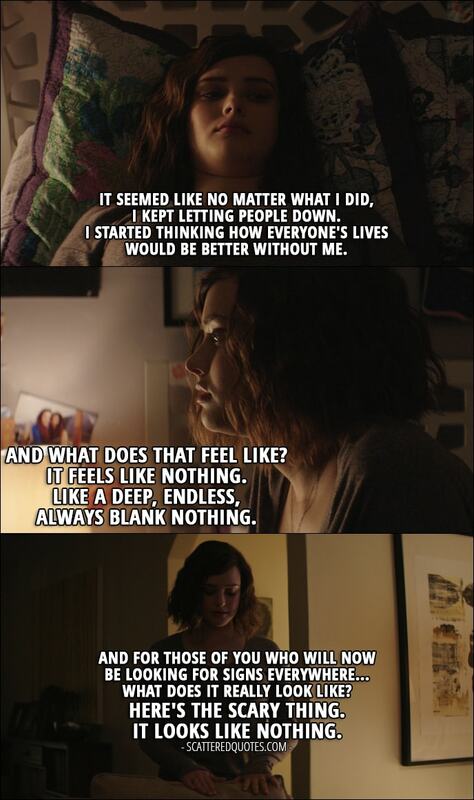 Hannah Baker (from the tape): It seemed like no matter what I did, I kept letting people down. I started thinking how everyone’s lives would be better without me. And what does that feel like? It feels like nothing. Like a deep, endless, always blank nothing. And for those of you who will now be looking for signs everywhere… What does it really look like? Here’s the scary thing. It looks like nothing. 12.6.2017 Like a deep, endless, always blank nothing.